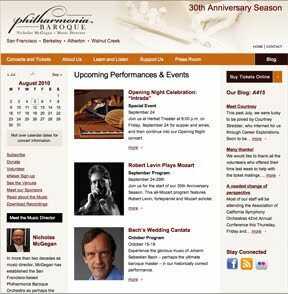 ... we'll get to see our Nic conduct Mozart here in the Bay Area. For now, we'll just have to read about him conducting Mozart elsewhere. For you impatient fans out there, subscribers will begin to receive their tickets this week(!) and single tickets go on sale in 15 days on August 5.